SETS, the leading provider of Human Resources Management System (HRMS), announced today the signature of a strategic partnership agreement with TBS, the Swiss specialist in access control and Time Attendance devices, through Allegion the Global Distributor of TBS worldwide. 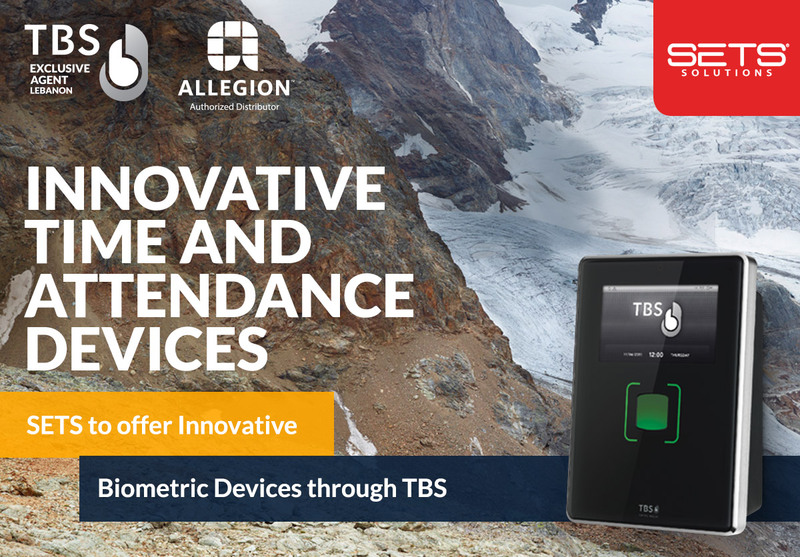 Headquartered in Switzerland, Touchless Biometric Systems (TBS) offers flexible, reliable and functional access control and time recording devices. The fingerprint systems from TBS combine unparalleled identification performance with impeccable hygiene and user friendliness. This technology edge has its greatest impact when high levels of security or large user groups are the order of the day. This strategic partnership will enable SETS to broaden its portfolio with a wide range of innovative security and control systems allowing its customers to select the solution that best meets their needs and benefit from the latest technologies in biometric devices. TBS products are manufactured in Switzerland guaranteeing quality and sustainability. Moreover, TBS has been recognized as one of the 20 fastest growing Access Control companies worldwide.